The cultivation of hemp began more than 10,000 years ago in the region that is modern day Taiwan. Perhaps the first agricultural crop, hemp served as the foundation of sustainable civilization. Ancient farmers found that hemp was an ideal crop for conditioning their soil. The leaves would fall to the ground and create fertilizer that replenished nitrogen, nutrients, and oxygen in the soil, allowing farmers to rotate other crops such as corn and legumes into their plots with ease. 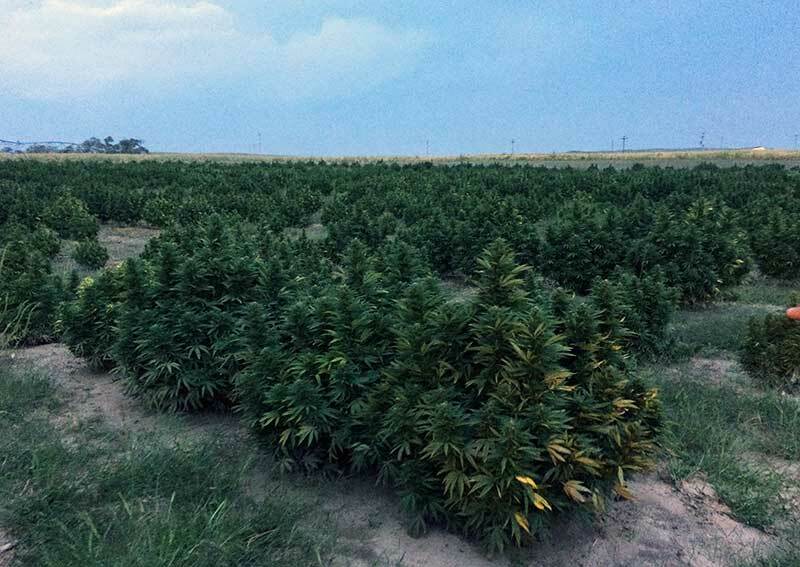 The land also benefitted from the hemp plants ability to absorb excess water from runoff. The plant grows to between 10-20 feet tall and provides shade protection to other crops and livestock. The hemp plant grows a vast root system that provides a mesh-like layer of support to other plants’ root systems during moderate flooding and wind. A product of the stalk, hemp fiber is one of the longest and most durable naturally occurring fibers known to man. Further, the hemp plant can produce up to four times the amount of fiber per acre as the pine tree. Cultivators used strips of the stalk to create woven cords that were ideal for reinforcing small buildings and bowls. The first archeological evidence of using hemp for making tools and equipment, found pots that were made using hemp cord dating around 8,000 B.C. By 6,000 B.C., evidence shows the hemp plant was cultivated in modern day China. The ancient Chinese used the hemp stalks for building materials, but they also made clothing and shoes from the hemp cord. Ancient Chinese civilizations discovered that hemp seed is high in protein, vitamins, and essential fatty and amino acids an ideal source of food and nutrition. The hemp seeds and stalks were also pressed to make hemp oil and salves. Quite simply, hemp existed as an answer for the life sustaining needs of burgeoning Eastern societies well before any clear understanding of the health benefits of hemp were known. The discovery of the medicinal qualities of the hemp plant is not recent. Descriptions found in the world’s oldest pharmacopoeia “Pen Ts'ao Ching” (written in the first century A.D.), suggest that ancient Chinese cultures recognized the hemp plant was dioecious, growing as either a male or female plant. Spiritually, the dioecious nature of the hemp plant complimented the Taoist philosophy of the Yin and Yang. The Yin and Yang are used to explain how two opposite forces can be complimentary and interdependent in the natural world, and is often attributed to male and female. This attribution is the first evidence of the ancient understanding of the difference between what we call industrial hemp and marijuana. 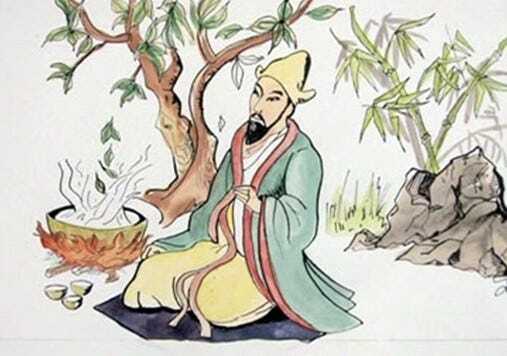 The text suggests that Shen- Nung was an ancient pharmacologist who experimented with herbs in his pursuit of understanding their healing qualities. Shen-Nung made hemp medicine by extracting hemp oil from the plant’s seeds. He found the hemp seed oil, when made into a tea, was helpful as a natural pain treatment. Shen-Nung also created what is possibly the first topical hemp oil that he applied to the skin for rashes and irritation. Hemp oil uses quickly developed, and records from the Pen Ts’ao Ching show that Shen-Nung also sought to treat symptoms of rheumatic pain, intestinal constipation, disorders of the female reproductive system, and malaria with his early wellness products. Shen-Nung did not have access to the information regarding herbal medicines that we do today. However he was certainly on the right track with his applications of hemp as a medicine. Today there are copious reports of people attempting to self-treat rheumatoid arthritis with cannabinoids like CBD that are commonly found in the hemp plant. Similarly, people who search for alternative pain treatments for intestinal issues often turn to a cannabis oil or hemp oil. The power of hemp-based medicine was prevalent in ancient China, and was even considered an integral ingredient in a popular “immortality elixir”. Though the hemp plant did not create immortals, it addressed the medical ailments of ancient society. The cultivation of hemp continued to spread throughout Asia and The Middle East. Between 2,000 and 800 BCE, hemp leaves were written about in the sacred Hindu text “Atharvaveda”. The Atharvaveda referred to the dried leaves as a “sacred grass” and is one of the 5 sacred plants of India. Also during this same time period, Egyptian writings in the Ramesseum Papyri, an ancient Egyptian medical text, show use of hemp oil as an ingredient for eyewash. By 200 BCE evidence of hemp use was found in Greece. Various burial sites were found containing hemp fiber and seeds, suggesting that societies believed hemp was an important plant to take into the “afterlife”. Also from the same time period is evidence that the Chinese began to use hemp fibers to construct bows and arrow shafts for use in hunting and defense. Evidence shows that hemp was used to create paper in China around the year 100 BCE. Though there is record of other paper-like products from the time period, the invention of hemp paper was pivotal because it required much less material and labor to produce. Hemp paper was much more durable than its contemporaries, such as papyrus, and was easily cultivated in many climates. As we move through the timeline of civilization’s development we can plainly see that hemp was integral in providing a basis for growth. By 1500 CE hemp was grown in England. King Henry VIII fined his constituents if they did not grow hemp, showing again just how valuable the crop was. Hemp was a primary source of clothing material for Europeans prior to the development of cotton. Settlers in North America brought hemp seeds with them and began cultivating the crop in Jamestown around 1616. Again, the settlers used the hemp fibers for clothing, building materials, sails, and weapons. In 1619 The Virginia Assembly established that all citizens were required to grow hemp. The plant was even accepted as legal tender in Pennsylvania, Virginia, and Maryland. 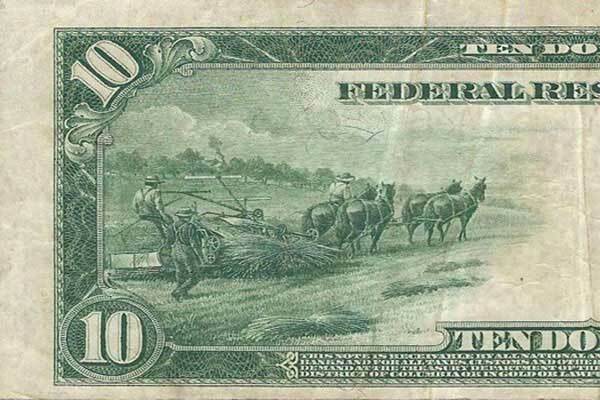 By 1776 hemp was cultivated in Kentucky, one of the places where Charlotte’s Web hemp is grown today. By 1800 most of the newly formed United States were cultivating industrial hemp on large scales. While the industrial development of the cannabis plant flourished, medicinal uses of the plant were also becoming more apparent. Though this section is intended to provide history specific to hemp, it is important to remember that hemp and psychoactive marijuana do come from the same species of plant. Much like the Ancient Chinese understanding that the cannabis plant had a “Yin and Yang”, American society became aware of the industrial uses and the medicinal and recreational drug uses of the cannabis plant. This distinction paved the way for a controversial future for hemp in America. It appeared as though the cannabis plant was fulfilling the needs of Americans, both industrially and medically. However as recreational use of marijuana became increasingly popular in Europe and the United States, authorities began to heighten their awareness of the possible “negative” effects of using the plant outside of industrial purposes. In 1906, President Theodore Roosevelt enacted the Pure Food and Drug Act, the first of a series of consumer protection laws. The Act was designed to give authority to the U.S. Bureau of Chemistry to ban foreign and interstate trafficking of adulterated or mislabeled food and drug products. As a result, food and drug manufacturers were required to label all active ingredients in their products, and that the drugs could not fall below purity levels established in the U.S. pharmacopeia. Though this Act was not specifically targeting hemp extracts or the medical use of cannabis, it established non-medical cannabis as a poisonous drug. A precedent was set in the U.S. and some Americans were faced with a question—is the cannabis plant dangerous in the wrong hands? While the use of industrial hemp was thriving in the United States in the late 1800’s, recreational smoking of marijuana was thriving in Mexico. The Mexican Revolution of 1910 produced a tremendous influx of Mexican immigrants to the United States. Americans immediately took a stand against the Mexican immigration fearing that the immigrants were violent. Further, Mexican immigrants introduced recreational smoking of cannabis to mainstream American society, which provided a convenient scapegoat for the alleged “violent” nature of the immigrants. At this point, Americans viewed cannabis use as the root of social disorder and the movement to regulate its’ use began. As the persecution of the cannabis plant mounted, hemp’s existence was threatened. In 1913 California passed a law that prohibited the use of marijuana. The State Board of Pharmacy sponsored the law in a larger effort to control narcotic use, especially opiates. California authorities began targeting Mexican Americans living in the Los Angeles area, believing that they were the source of the new wave of marijuana use. A country that once thrived on the cultivation of cannabis for its valuable hemp turned against the plant. For the next 20 years states began prohibiting marijuana use. In 1930, the Federal Bureau of Narcotics was created and Henry Anslinger was put in charge. Many believe this was the moment when cannabis/hemp cultivation lost all hope in America. At the height of the Great Depression Americans were searching for someone to blame for the economic crisis. Cannabis again took center stage, and Anslinger exploited the vulnerable American mindset to create a war against drugs. In 1936, the film Reefer Madness was released in an attempt to scare American youth into believing the plant was dangerous and the source of societal failures. Congress, in 1937, passed the Marijuana Tax Act that federally outlawed the use and non-industrial cultivation of the cannabis plant in America. Despite the clear differences between hemp and marijuana, the two were classified in the same evil vein. Americans who were found cultivating, using, or selling any form of cannabis were now subject to taxes, fines, and even imprisonment. The industrial importance of the cannabis plant gave way to societal fear. Just as the use of cannabis was banned in the United States, World War II began in Europe. When America entered the war, industrial efforts to supply the American war effort surged. The need for uniforms, marine cords, and parachutes required durable materials that the United States lacked—if only there was a plant that produced the inputs needed to make these supplies. Just as hemp fueled the early development of many societies, it would make a return in America to ensure the future of democracy. 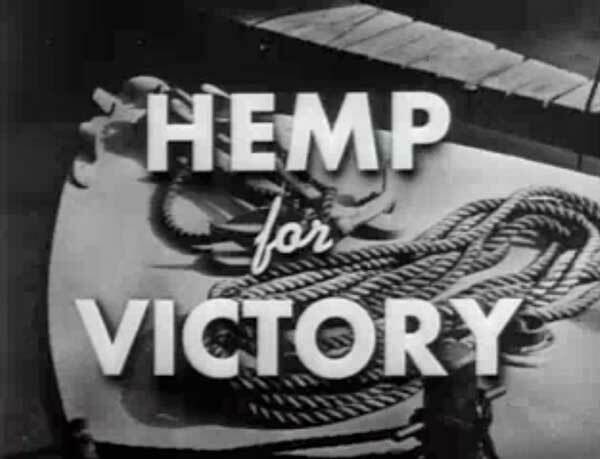 The United States Department of Agriculture introduced the film Hemp for Victory which encouraged American farmers to plant cannabis for hemp cultivation. To incentivize hemp cultivation, the government distributed seeds and offered draft deferments to farmers who produced the crops. By 1943 farmers had cultivated nearly 400,000 acres of hemp for the war effort. In 1970, the industrial cultivation of hemp was banned under the Controlled Substances Act. The act classified cannabis as a schedule 1 drug and established penalties for possession and cultivation of the cannabis plant. From 1970 to 2014 a number of states decided to allow the cultivation of industrial hemp, but farmers were at risk for federal government intervention and penalization. 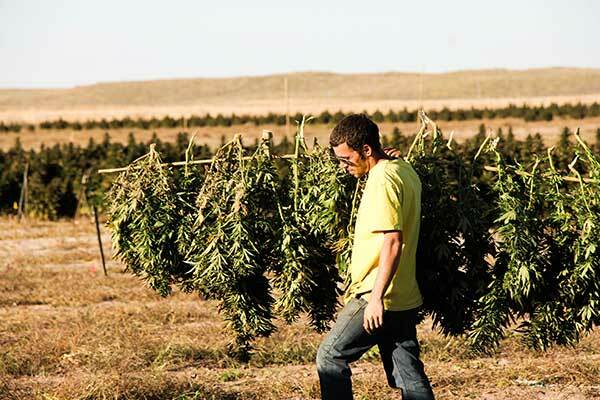 Cultivation of the cannabis plant is currently a popular topic in American society. Hemp remains in high demand for manufacturing of textiles, fuels, cosmetics, plastics, and recently alternative medicines. Lately the news has been littered with anecdotal stories of people experimenting with cannabis as an alternative anxiety, arthritis, cancer, depression, and pain treatment. Though the FDA and DEA have not accepted cannabis and its derivatives as medicines, there is clearly a growing movement in America to push for that to change.